Yummers! This mix is actually VEGAN! And it comes with a super-cool cookie cutter! Bat, Pumpkin and Headstone cookie cutter! 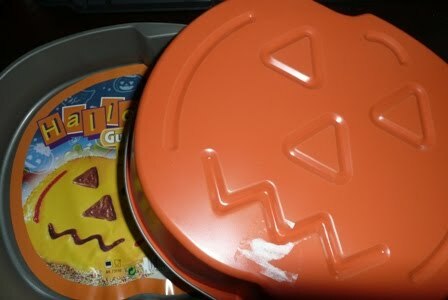 Two huge pumpkin cake pans! Seriously, one is about the size of my head! That's it for now creepy kids...hope you are enjoying the start of the week after a nice long weekend! I love all of those, especially the service tray (I wish I had one like this, my veggie wife could bring me breakfast in bed). 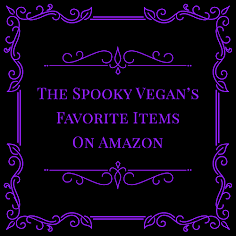 I can barely believe those chocolate pumpkins are vegan. Yum! Thanks for the heads up! 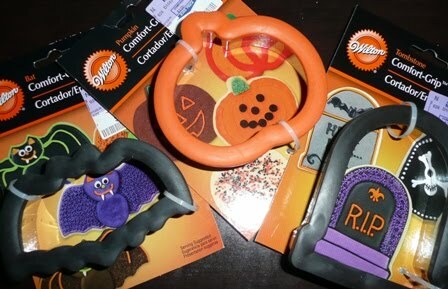 Everything is cute :) I have been seeing a lot of halloween stuff lately and it made me think of you. 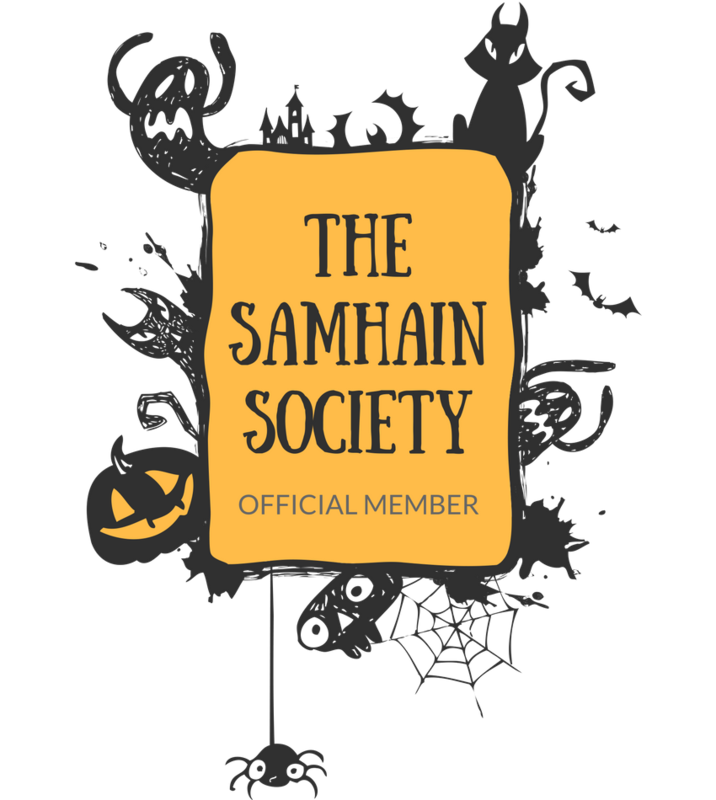 There are two halloween stores opening near me too by the way! yay! 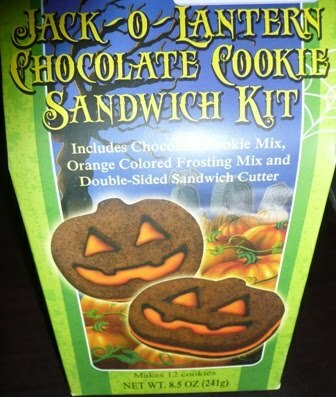 i saw a lot of halloween goodies at my favorite kitchen store yesterday too. i can't wait for it to arrive..so excited! 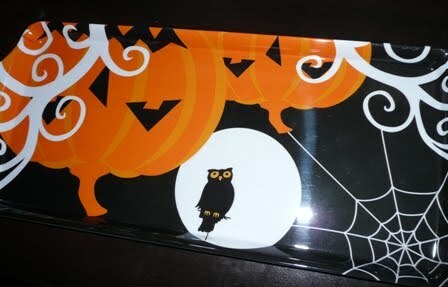 Ha...I just saw that tray tonight and had it in my hand to purchase. Then I noticed that the owl was upside down. At first I thought it was a mistake. Then I thought that maybe it was that way so that it was viewable from both sides. But I do love the graphics on it! 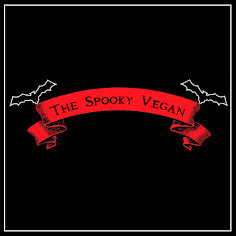 The Spooky Vegan Presents "31 Days of Halloween"! 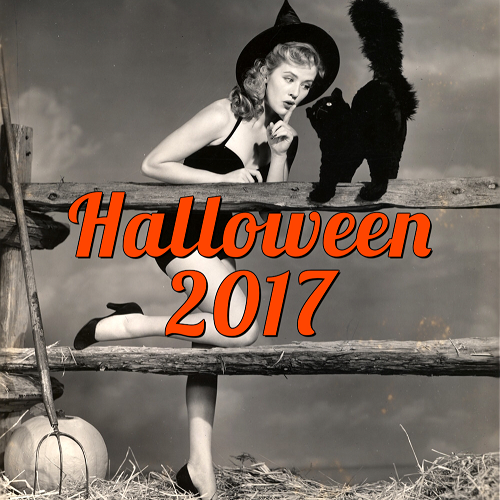 Halloween Events in Southern California! See Night of the Living Dead in a Cemetery!